One of the greatest joys of childhood was hopping on a bicycle and blazing trails to parts unknown. Pumping furiously on your bike pedals, it seemed inevitable you’d break the neighborhood speed record. Unbeknownst to us kids, cycling provided more than adventures: those bike rides supplied our bodies with sustained levels of cardiovascular activity and strengthened our muscle function. Balancing our banana-seated bikes over bumpy dirt trails improved our arm-to-leg, feet-to-hands and body-to-eye coordination. Bicycling allows people of all ages to experience that joyful combination of exhilaration, heart-pumping exercise and scenic variety you miss out by, say, exercising inside the local health club. Hopping aboard a bike beats laboring away on a treadmill, shoulder-to-shoulder with others trying to get in shape. For one thing, being on a bike chases away the boredom of a traditional exercise routine. After all, outdoor scenery beats a fluorescent-lit exercise room for visual stimulation. And a bicycle allows you to get reacquainted with your neighborhood’s hidden surprises that are easy to overlook from a car. For runners who’ve notched hundreds of miles on the road, switching to a bicycle can offer your body a welcome relief. Your knees, ankles and spine take a pounding from years of running on asphalt and wooden floors. A bicycle workout, however, is a great low-impact way to tone your lower body: thighs, calves and buttocks. It uses more muscles in your legs than running, as well. Bicycling in the Pacific Northwest invariably involves lots of hills. By including that extra challenge, bicyclists get a great upper-body workout equal to any other aerobic exercise. It also gets your heart pumping at a high sustained level, helping to ward off heart disease while building your overall physical stamina. If a heavy duty workout isn’t your thing, a gentler bike ride can also be beneficial to your body. A leisurely spin will help improve rusty bike skills and sharpen your coordination. Fitness trainers say an easy, hour-long ride will burn 281 calories versus 176 calories from a leisurely walk. Trainers and health professionals urge you – as with any new exercise routine – to start out slow and easy. Even if you find you can’t commit to a regular bicycling routine, a trip around the neighborhood is a perfect antidote to a stressful day. It also gives you an energy boost. A study by the University of Georgia-Athens contends bike riding improves your energy level by 20 percent and reduces fatigue by 65 percent. The report concludes the neurotransmitter dopamine, when released in the brain, increases body energy. If you’re planning to take your bicycle out of the garage – perhaps for the first time in years – do yourself a favor: take it to a bike shop to have it tuned and adjusted. Find out if your bike is the right size for your body. If it’s too big, your neck and back could take unnecessary punishment. A bike seat that’s too high or low for your body can stress your knees. If it’s been years – maybe decades – since you hopped on a bike, this month is a perfect time to try. May is National Bike Month – and thousands of Northwest bicyclists will dust off their cycles to take advantage of our spring weather. And, this Friday, May 15, cyclists will hit the streets for Bike to Work Day. If it’s a realistic option for you, commuting to and from work each day can offer a double bonus: providing you a great workout and keeping your vehicle in the garage. If you've never ridden a bike as a commuter, Bike to Work Day is a perfect time to try. There'll be plenty of experienced two-wheelers to offer encouragement and help, if you need it. It’s always a good idea to check with your Providence primary care provider before embarking on any new exercise regimen. 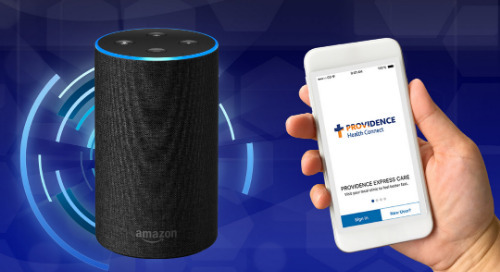 So, before you climb aboard your two-wheeler for a long ride, make an appointment at the Providence Medical Group clinic in your neighborhood. Our providers will be happy to answer your exercise questions and get you on your way towards pedaling for fitness and fun.